FOR Muslims, Umrah is just as sacred as the hajj during Ramadan. In this journey, pilgrims are expected to be at their best in praying and feel the holy presence of Allah. In the Islam faith, Muslims with the financial capability to travel is expected to conduct the pilgrimage in the Middle East where most of the historic Islam history and culture started. Umrah or little Hajj can be performed anytime of the year. Umrah during Ramadhan is equivalent to performing Hajj with Prophet Muhammad (pbuh). With this, Muslims only deserve a good travelling partner in achieving this holy journey. “Kaya nagpapasalamat kami sa Umrah Travel Managers dahil malaki ang tulong na nagawa nila para sa mga kababayang mga Muslim lalo na dito sa Mindanao. Lalo na first time itong nangyari sa Davao kaya maraming mga Muslim rin ang makakabenefit mula rito (That’s why we are thanking Umrah Travel Managers because their help for Muslims in Mindanao is really big. And since this happened first time in Davao, of course a lot of Muslims here will definitely benefit from it),” Shiek Ahmad Ampuan said. “Kami naman po sa Travel Managers ay natutuwa sa pagtanggap sa amin dito sa Davao. Makakaasa naman po ang mga Dabawenyong Muslim na magiging masaya ang kanilang karanasan kasama ang Travel Managers (We at Travel Managers are happy with the warm welcome here in Davao. 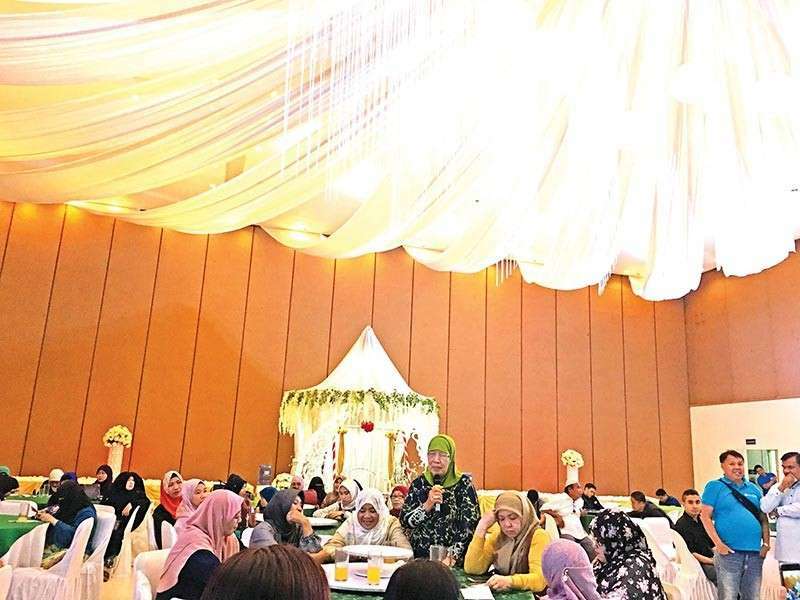 Muslim Dabawenyos can be assured that they will have a happy experience with Travel Managers),” Travel Managers president and general manager Zoraida Arcega said. Travel Managers International Inc. in cooperation with Darussalam Bookshop Davao recently held an Umrah Awareness Program last January 27, at Sunny Point Hotel, Ma-a, Davao City which aims to inform Muslims about Umrah Rituals, Umrah Processing and Umrah Packages, and ultimately encourage them to perform this prescribed worship. Travel managers offer the following rates: 30 days for $3,300; 20 days for $3,100; and 15 days for $2,900. The package includes travel to Jordan, Medina, and Egypt. Darussalam Bookshop has created its new service namely “Darussalam Umrah Tours” in partnership with Travel Managers International, which will be focusing on accepting applicants for Umrah from Davao and its nearby cities. You may contact Sister Cheema @ 09566176293 for your Umrah application.